The Lausanne Container is a perfect composition with blends style, grace, functionality and industrial design into one attractive package. The Lausanne Container is the eternal classic modern design planter with its structural clarity and timeless form. This fantastic modern planter would look amazing at any pool side, garden terrace or even in large loft spaces. It is perfect for both indoor- and outdoor spaces. This modern planter is handmade and imported from Switzerland. 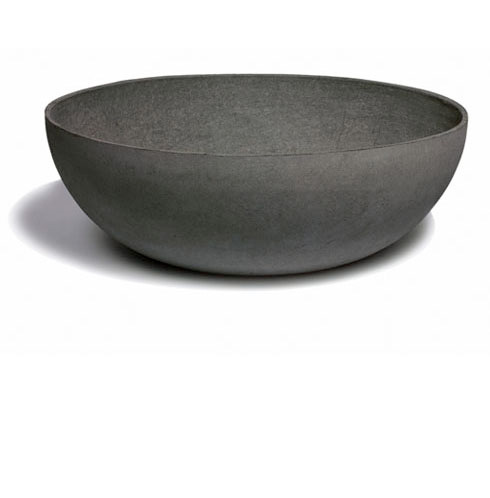 This planter is made of fiber cement which is a mostly organic material and it is 100% recyclable. 28" x 9" / 22 lbs. / 17 gal. 35" x 12" / 44 lbs. / 32 gal. Container comes with drain holes unless otherwise specified.